This entry was posted in Lync and tagged Authentication, Lync, Two-factor by techmikal. Bookmark the permalink. Bit confused here. Exactly what did you use to provide the 2FA? If Pointsharp is its own STS that sits on top of ADFS what additional authentication type did you use to authenticate the user? SMS? RSA? What are the options and ‘how’ would you integrate say RSA with Passive Auth/ADFS? Does your plugin act as a broker of sorts to do this? 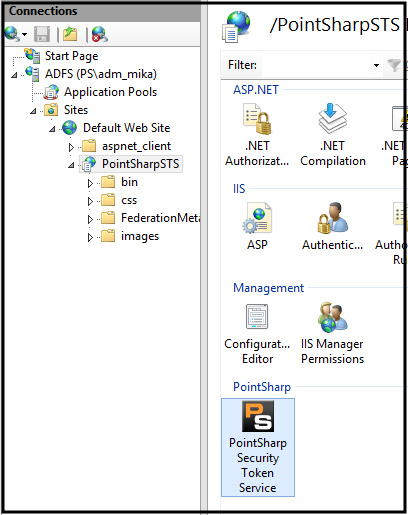 As your STS serves another forms based page the same as ADFS normally does which presumably still requires AD credentials. So im not entirely sure what the additional benefit here is of your plugin unless it provides the broker between the STS and 2FA to provide 2FA without having to enter AD credentials? Thanks for pointing out the lack second factor explanation in the post. I have updated the post accordingly and I will also answer the questions here in the comment. In this case the first factor is the username and application specific password (no AD password) and the second factor is a One-Time Password generated from a hardware token. 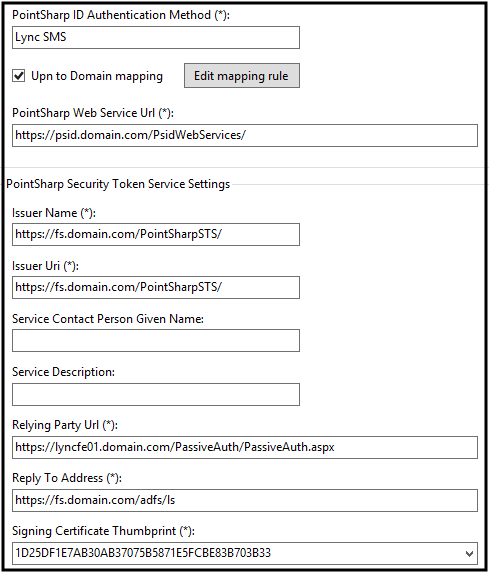 The PointSharp STS sits on top of ADFS but the actual authentication is done towards the PointSharp ID server. Upon a successful authentication the STS gathers the configured claims and passes the request to ADFS who does final transforms or pass-throughs before redirecting the client to the application. I dont have any experience with RSAs STS (if they have one) so I cant say for sure how to set it up or if it works. I hope this explains it a bit more. If not, let me know! Thanks @Techmikal. One last question just for my own clarification. Is your product a requisite then for integration to provide a 2FA solution between ADFS/Passive Auth and for sake of argument RSA? Or can that integration be done ‘natively’ without the requirement for your plugin? Hello Shawn. Natively ADFS can not provide a passive 2FA without a 3rd party authentication solution and definitely not without AD credentials. 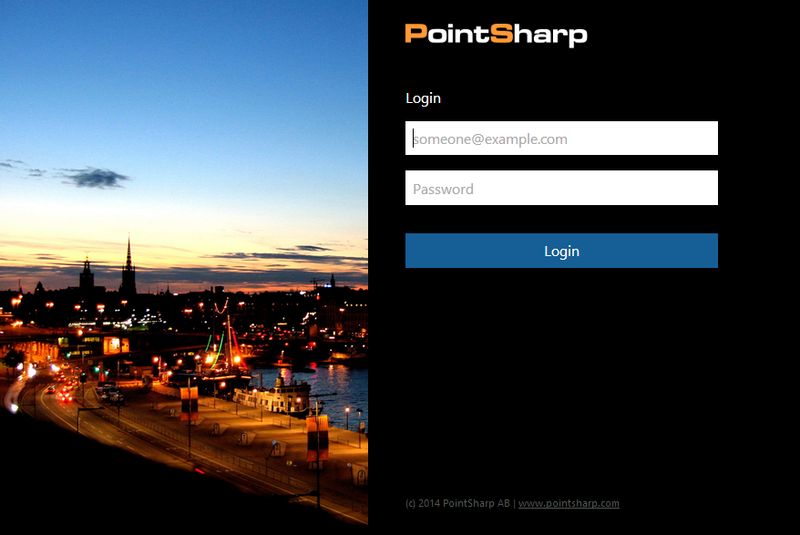 In this case the PointSharp products act as that authentication solution. Passive auth can be done with any STS that supports ADFS passive auth, this example shows a 2FA scenario without domain passwords. The choice of STS/authentication solution is the one I personally have access to. Hi Techmikal. I know ADFS cannot provide 2FA. But what i’m trying to understand is is ‘where’ does your plugin fit in? So if i was to use ADFS & RSA (for example) would i need your plugin to enable the 2FA functionality? So in other words RSA would need to provide their own STS that could integrate with ADFS in order to provide the 2FA correct? Hello Shawn. Sorry, I misunderstood. You are correct, if you were to use another authentication solution they would have to provide their own ADFS compliant STS and authentication server. “In the field” I find that most look for an active solution instead. Like the one you’ve commented on before on my blog. Thanks. Does PointSharp have any plans to get their plugin to work with RSA? You said you used a hardware token. What token/product was this?